CN d'Arenys de Mar - Come to Arenys! Arenys de Mar is one of the main municipalities of the Maresme. Arenys harbour, for many years the only existing port on the north coast of Barcelona, is the most evident proof of the long history and seafaring tradition of the village. The beaches framed by hills which run right down to the sea, give a preview of the neighbouring Costa Brava. At the Arenys de Mar Yacht Club (CNAM) we make it easier for you to moor you boat. Arenys is neither near nor far from anywhere. It is 40 km to Barcelona by the N-II road or the c-31 highway. The district train (R-1 line) covers the distance to Plaça de Catalunya, in the centre of Barcelona, in 50 minutes. The road B-511 communicates with the highway A-7 (exit Sant Celoni) through Collsacreu. The Montseny massif is quite close, while the Natural Parks of Corredor and Montnegre are just round the corner. Girona is 60 km away, for a trip to Montserrat you need little more than an hour. Barcelona airport is 56 km away, that of Girona-Costa Brava AIRPORT, 40 km. The harbour is the most important of the Maresme and concentrates practically the whole fishing fleet of the region. The fish auction which takes place every afternoon whenn the boats return, is a picturesque event and a favourite with many visitors. There is ample space in the port reserved for yachts. During the summer, many sailing boats anchor here on their Mediterranean journey (we make it easier for you to moor you boat). The shipyard is still an important local industry. 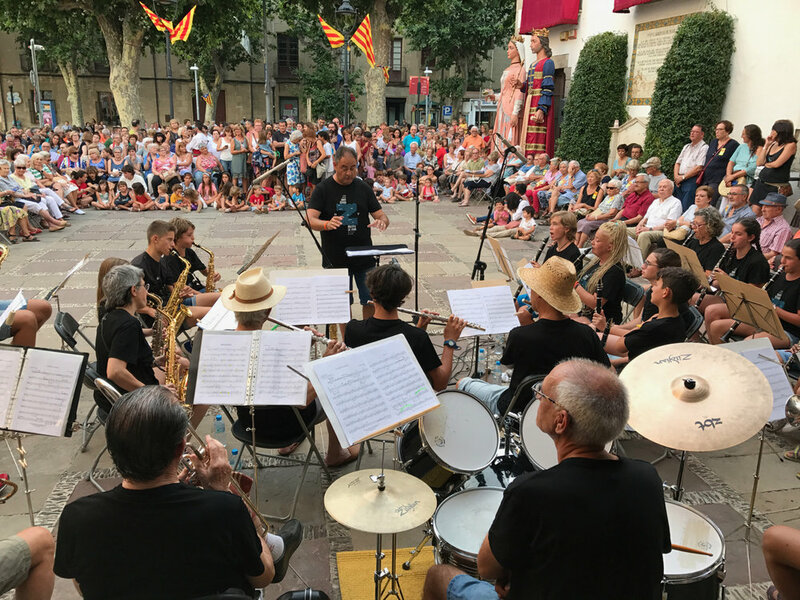 The Riera is the commercial centre and the hub of all local activities. The Market, a splendid and functional Art Nouveau building, remains open every morning as well as Friday afternoons. Inside, it is bustling with people and constant activitY. On Saturday mornings, the commercial hustle takes itself to the Riera in the form of a weekly street market. The artistic and monumental attractions, the museums, the harbour, and all that surrounds the myth of Sinera created by the poet Salvador Espriu are potent reasons for coming to Arenys. At week-ends, people often come here simply to enjoy a good meal. The beaches at Arenys are especially pleasant, because they are so large and also because of the coarse grained sanD. To those who prefer shade, the village offers the Lourdes Park and the possibility of strolling along the numerous walks and paths outside the village. Within the urban centre, there are quite a few places which deserve a visit. The parish church of Santa Maria has one of the most important barroque reredos in Catalonia, built at the beginning of the 18th century by the sculptor Pau Costa. 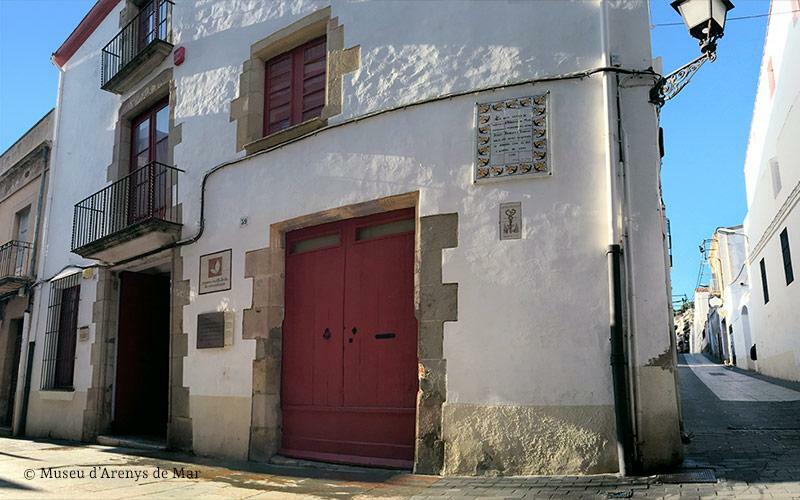 If you go along Church street, you come to the Marés Museum of Lacemaking and the Mollfulleda Museum of Mineralogy.